Interested in creating dynamic lighting cues in your next production? 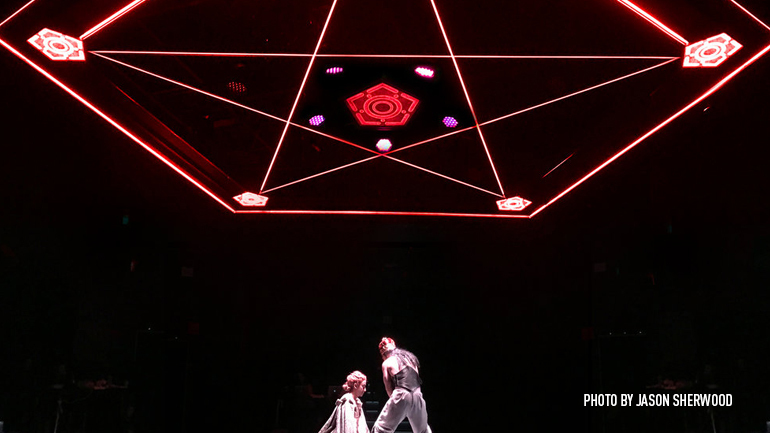 Join Alex Jainchill, a freelance lighting designer based out of Brooklyn, New York, for a free, one-hour webinar on how he used Vision previz software to design and cue a contemporary rendition of Macbeth at the Denver Center for the Performing Arts. Attendees will learn how to integrate lighting plots with Vision, how to work with the ETC Eos Classic console, and how to design for unconventional theater spaces. Learn how to use Vision as a rendering tool to present ideas to the production team. Discover the advantages of integrating lighting plots with Vision. Explore how to work with the ETC Eos Classic console for lighting control. Find out how to test lighting designs outside of the theater space and in-the-round.